While some new parents might think that having an exhausted baby is better because they will sleep longer and sounder, that is not the case. When the baby is overtired, they will tend to have more trouble getting to sleep properly and staying asleep. Their wake time should only be to the point where they start to get sleepy, not to where they start to get fussy. Keep the activities the same and in the same order at night. This will help to get the infants into the habit of following a routine and eventually know that the final activity of the routine means it is time to fall asleep. Swaddling the baby can help them to get to sleep as well, as it can make the baby feel as though it is back in the womb. Wrapping the baby up in blankets makes them feel safe and secure. During the day, even when the baby is napping, you want to keep things bright. At night, you want to keep things dark and quiet. This is to help the baby become accustomed to the day and night cycle. This will help the baby learn the difference between day and night faster, and they will soon learn that night is for sleeping. It can be tempting to let the baby sleep for a long time during the day. 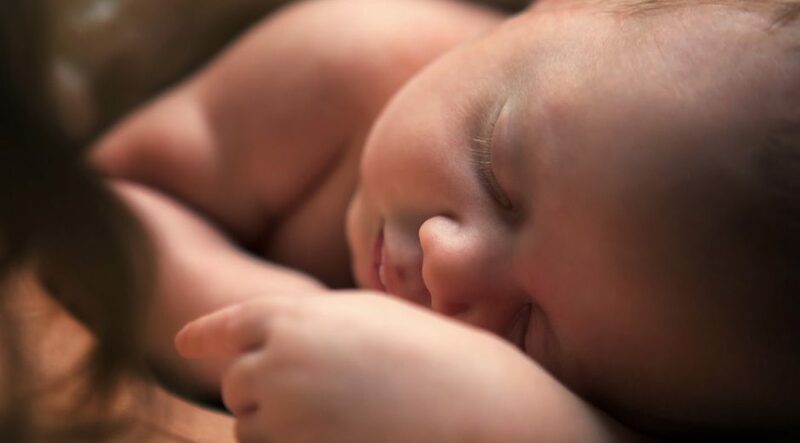 After all, you might have heard the advice that says you should sleep when the baby sleeps. However, if they are sleeping for three, four, or more hours during the day, they are not going to be sleeping as much at night. You will want to provide the baby with more stimulation and activities during the day so they are tired at night. Limiting the nap times, along with teaching the day and night cycle, can help with this. Sometimes, to make feeding and changing easier, you will want to have the baby sleep in the same room as you. Instead of having the baby sleep in the bed with you, it will be a better and much safer option to use a bassinet that you can keep near your bed. This way, you can be there for the baby when they need you, but they will be accustomed to sleeping on their own. Once they start to get a little older, the transition from bassinet will be simpler. When your baby is trying to sleep, there is a chance that they could have reflux and spit up. This could be from laying flat on his or her back. You will want to slightly increase the angle of the mattress so that the baby’s head is above their feet. A blanket or pillow under the mattress is all you need. With some babies, a bath right before their bedtime can help them to calm down and get ready for sleep. This is not the case with all babies though, so you will want to see how your newborn reacts. Another option you might want to consider is a swing for the baby. This can make them feel as if they are back in the womb again, and it can help to put many babies right to sleep. It might be something that your newborn would enjoy and that could get them into the habit of sleeping. Having some white noise, whether it is the sound of static on a television, the sound of rain, or a heartbeat, can create a wall of sound that can help the baby to relax. A white noise machine, CD, or application for your phone can be all you need to help the baby sleep. In fact, white noise can help adults get to sleep, as well. Keep in mind that your newborn is not going to sleep through the night in those first few weeks, and they shouldn’t. After all, they need to eat every three hours or so, and they need to be changed. However, the tips here will start to instill good sleeping habits in your little one, and eventually, they will be sleeping through the night.